QUADEC square-shaped profile and corners applied to the tile edges of the wall and shower niche. 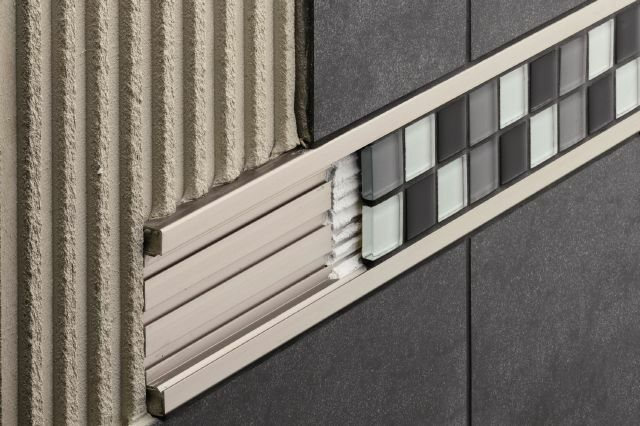 QUADEC-FS double-rail edging profile used to frame the mosaic insert in the wall. DILEX-EKE PVC corner movement profile in classic grey used to create a seamless transition between the shower walls. 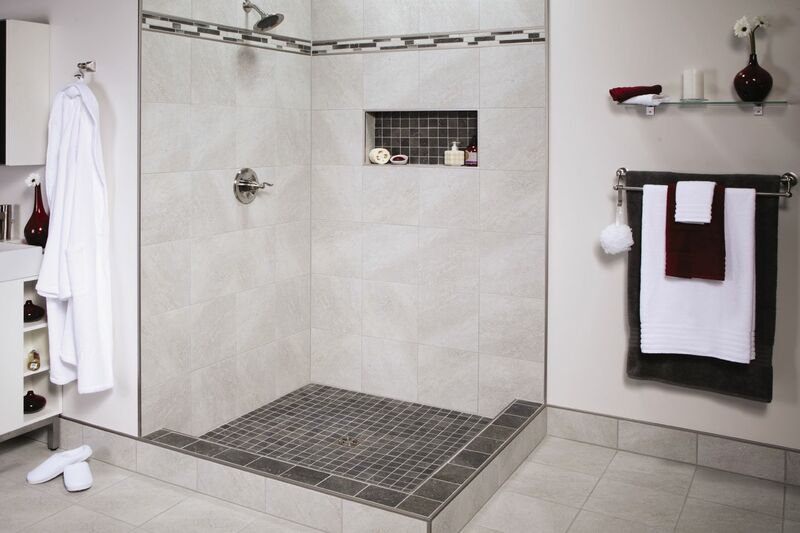 Satin nickel profiles installed throughout this modern bathroom match the shower fixtures and drain grate creating a professional, finished look. 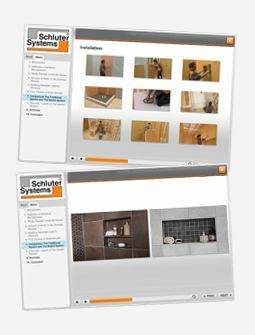 QUADEC square-shaped profile and corners applied to the tile edges of the walls, shower curb and niche, and tile base. 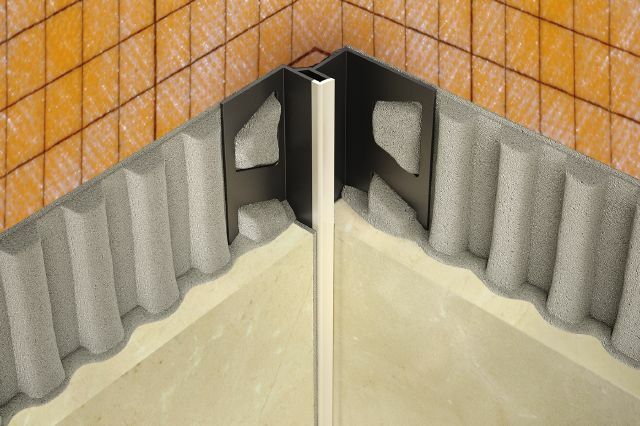 QUADEC-FS double-rail edging profile used to frame the mosaic insert in the wall. 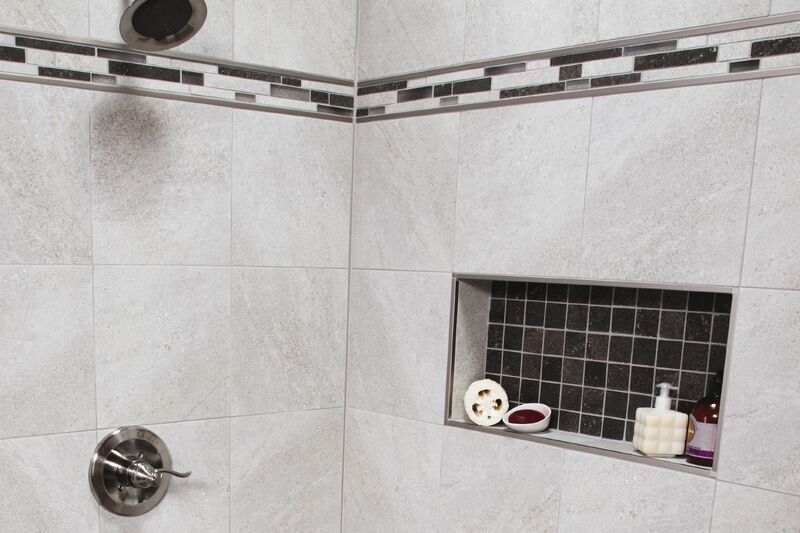 DILEX-EKE PVC corner movement profile in classic grey used to create a seamless transition between the shower walls and floor. 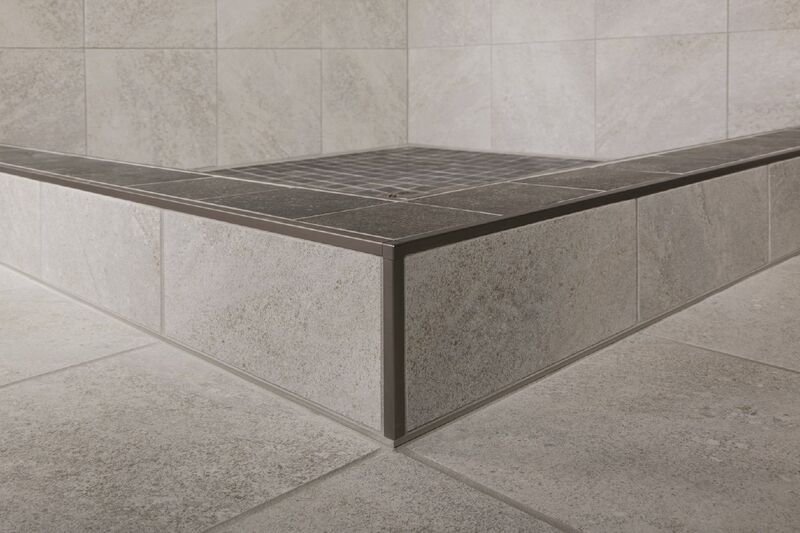 KERDI-DRAIN is featured with the brushed nickel anodized aluminum grate. QUADEC square-shaped profile and corners applied to the tile edges of the shower curb. 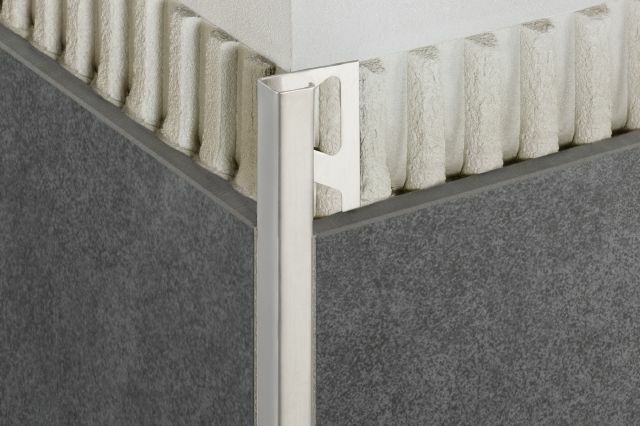 DILEX-EKE PVC corner movement profile in classic grey used to create a seamless transition between the shower curb and floor. 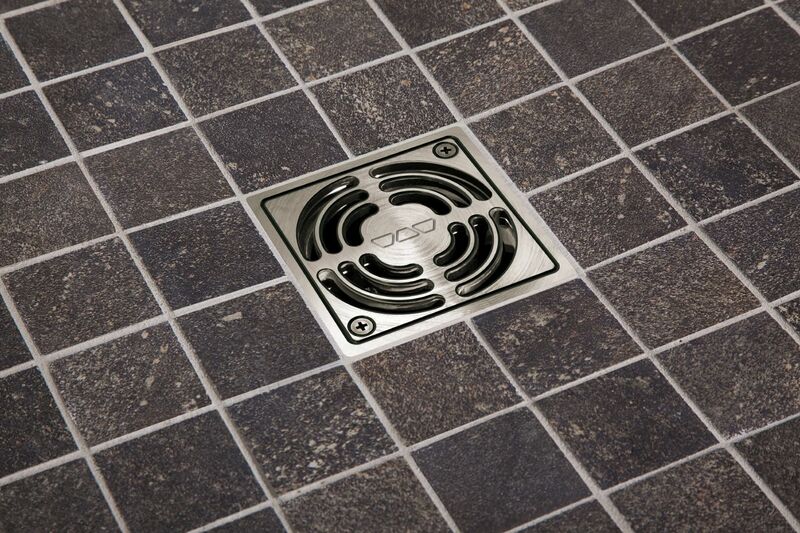 KERDI-DRAIN is featured with the brushed nickel anodized aluminum grate.